Computer software has to be loaded into the computer’s storage system like hard drive, RAM or the memory. The computer executes the software only when it is loaded. Computer operates by executing the programs. Therefore it is essential that software ffunction correctly and be protected from the corruption. The software has to be properly installed on your computer before using it. To install software, the program is put into computer system for its execution. Installation involves extracting the files in compressed form, moving files to desired location, customizing the software to meet the hardware and user’s specifications. 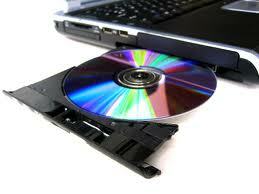 While installation system compatibility and storage space need to be taken care of. You may face several problems regarding computer software. So you need not worry as Techsonduty provides a range of computer software support services to help users install software on your computers. Call Techsonduty at 516-360-0757 today! Serving the following areas with computer cabling in Nassau County, Long Island, and Queens NY.